On Thursday, April 10 at 6pm, Dr. Claudio Lomnitz will give a lecture entitled, “Ideological Incoherence and Ideological Purity in the Mexican Revolution” in Jones Hall 102. A reception will follow the lecture. Claudio Lomnitz is the Campbell Family Professor of Anthropology at Columbia University. One of the most distinguished anthropologists and historians of Mexico and Latin America, Lomnitz received his PhD from Stanford University and, before joining the faculty of Columbia University, taught at the University of Chicago and at the New School. 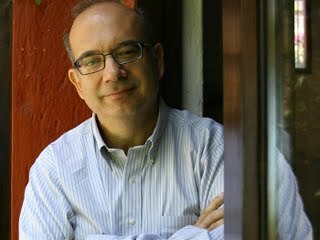 His groundbreaking body of scholarship – which includes the books Exits from the Labyrinth (1992), Deep Mexico, Silent Mexico (2001), and Death and the Idea of Mexico (2005) – has impacted the study of Latin American history, politics, and culture across disciplines. In this lecture, Lomnitz will discuss his most recent book, The Return of Comrade Ricardo Flores Magón (Zone Books, 2014). Sponsored by the Tulane University Office of Academic Affairs and Provost, the Department of Anthropology, the Department of Spanish and Portuguese, the Roger Thayer Stone Center for Latin American Studies, and the Tulane Anthropology Students Association. For more information, please contact João Felipe Gonçalves, Department of Anthropology, jgoncal@tulane.edu.